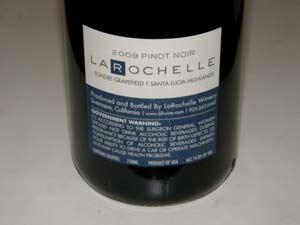 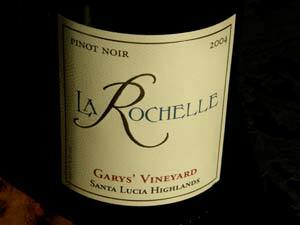 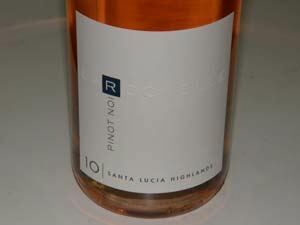 La Rochelle Winery, formerly Mirassou ( a new label founded after Mirassou was sold to Gallo), focuses on 4,000 cases of small lots of Pinot Noir from leased vineyards. 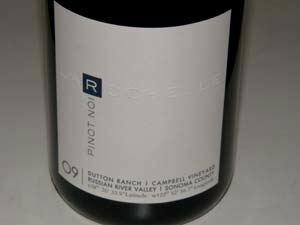 Steven Kent Mirassou acquired the label from the family in 2005 and moved the base of operations to Livermore. 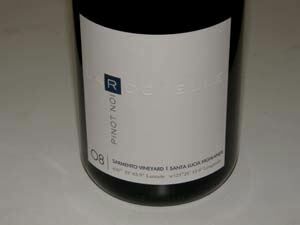 The winemaker, Tom Stutz, crafts several vineyard-designate Pinot Noirs, sourced from multiple appellations in California and Oregon, including Anderson Valley, Sonoma Coast, Russian River Valley, Santa Cruz Mountains and Santa Lucia Highlands. 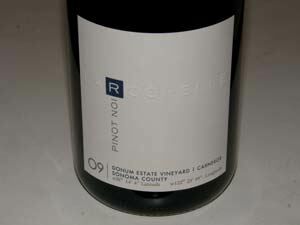 A tasting room is open daily from 11:00-4:30 in Kenwood at 233 Adobe Canyon Road The wines are available on the website.